This node takes the minimum value of two terrains. 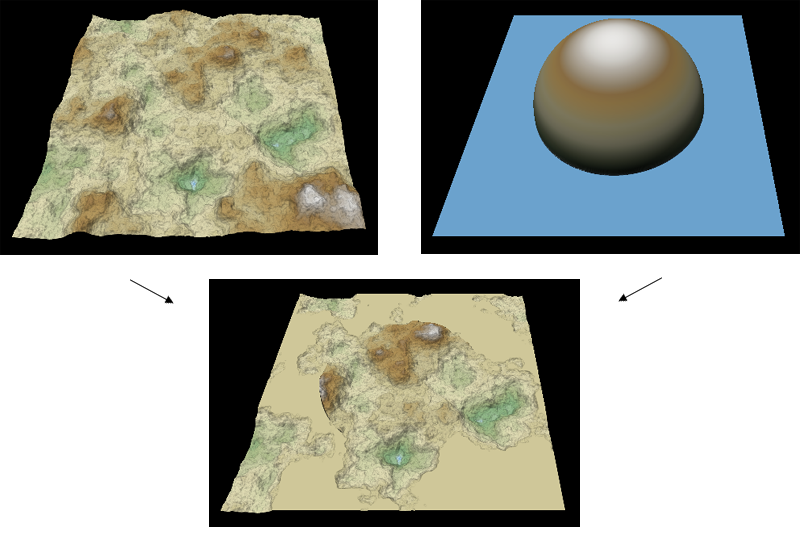 At each vertex, the value of the output terrain is the minimum value of both input terrains. 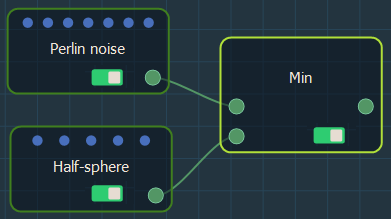 To add a node, right click in the Graph Editor and select Create Node > Terrain Composition > Min. Link the Min node to two input nodes.